G.R.S. Jewellery was established by Andy Moss. With over 21 years experience in the Jewellery retail and manufacturing industry, our aim is to provide great service using traditional skills and friendly impartial advice. We are located in the world famous and historic Birmingham Jewellery Quarter with easy links to the Midland motorway network. To find out more about our location please see our contact details and map. Our workshop is located only 50 yards from the Quarter's railway station. The Jewellery Quarter is an area on Birmingham, England that is synonymous with the manufacture of jewellery. Established in the late 18th century, the Jewellery Quarter is well known worldwide as a centre of excellence in high quality jewellery making. 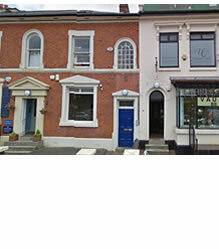 You can read more about the Jewellery Quarter at the official website. G.R.S. Jewellery is proud to be a part of this English heritage and continues to be an active part of the local community.